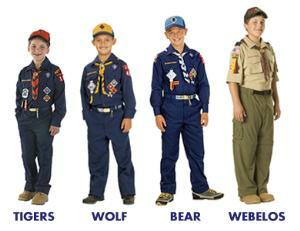 Scout Store staff are very helpful if you have any questionsabout uniforms or anything else related to Cub Scouting. Although the officialBSA policy requires uniform pants and a hat, Pack 422 does not require you topurchase the official pants and hat. Any dark blue pants can be worn with theuniform.